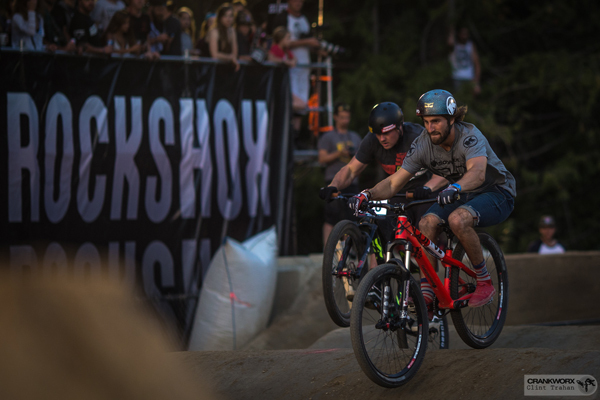 The Crankworx Whistler Pump Track saw a serious battles to determine who would take away the Men's and Women's titles. 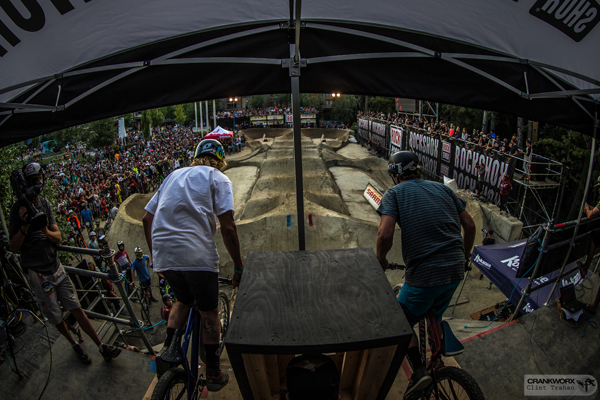 Adrien Loron and Joost Wichman, the Pump Track Champion from Crankworx Rotorua, went head to head in the quarter finals, eliminating Wichman, one of the top three Pump Track competitors in the world, by mere millimetres well before the end of the night, and leaving Loron to face a Crankworx legend. Paul Basagoitia is credited with launching such a slick line of tricks off the Slopestyle course in 2005—wearing only a half lid helmet and jeans—that he literally put the sport, and the event, on the map. Returning to the pump track podium, he was ecstatic with the results of the night. The women’s final saw Beerten and Kintner in a battle of wills. Working with two sets of stitches from the Official World Whip-Off Championships earlier in the day, Beerten fought hard to take silver, which placed her in the first spot as the Pump Track Challenge Series winner. “Right now everything is numb, but I think tonight and tomorrow I’ll be pretty sore,” she said, lifting a corner of her shirt to show the wide swath of bandages concealing her wounds. 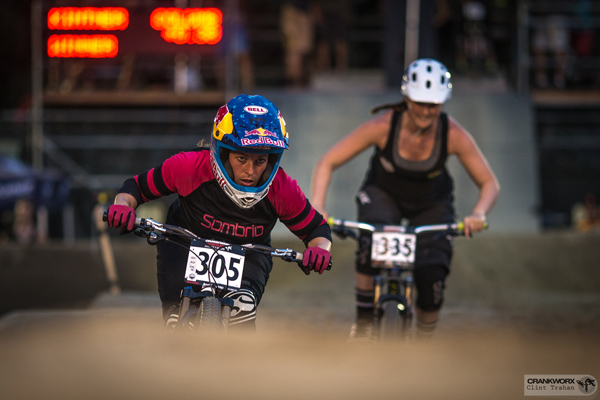 Beerten will be back to race the Dual Slalom, as she makes her way toward Queen of the Crankworx World Tour.